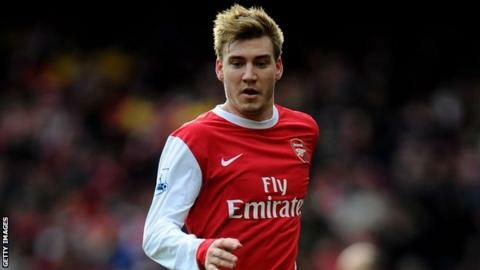 Arsenal striker Nicklas Bendtner has joined Juventus on loan until the end of the season. The Italian champions have the option to sign the Denmark international at the end of his loan. The 24-year-old tweeted: "I can now finally say I am a Juventus player. Very proud and can't wait to wear the stripes!" Bendtner spent last season on loan at Sunderland, having joined the Black Cats on transfer deadline last year. He made 29 appearances in the Premier League for Sunderland, scoring eight goals. Bendtner came through the youth system at Arsenal, breaking into the first team in 2005, but has struggled to hold down a regular place in the first team. His deadline day departure follows that of fellow forward Park Chu-Young, who has joined Celta Vigo on loan.